If you have ever needed to flash your android phone for some reason,maybe because you are upgrading the OS of your phone or due to repairs or you like to try out a new rom on your android device . Then you must at some point had the need to back up your data. 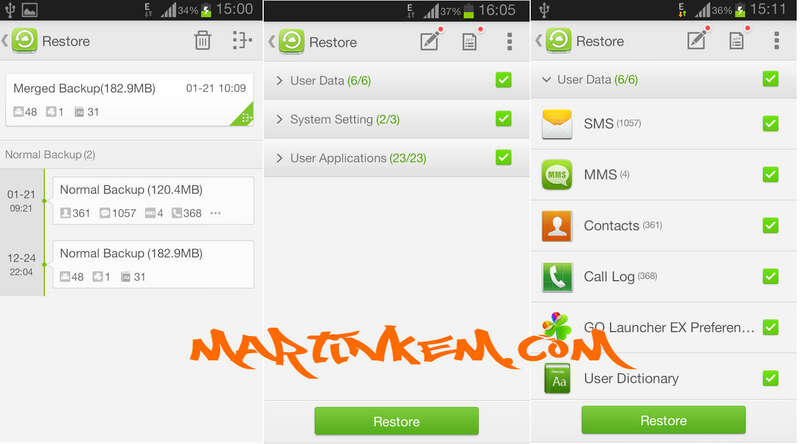 comes into the picture, as it lets you backup and restore all the data from your android device. 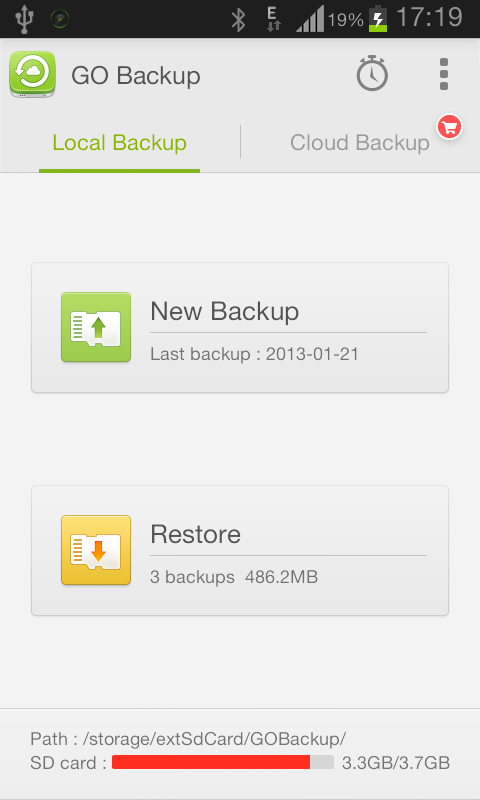 Go Backup comes in two variants the free app and the paid version. 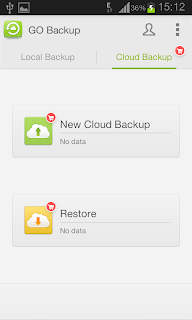 The free version gives access every feature you might need besides the ability to backup to cloud (Dropbox or Google Drive), pictures backup to cloud, ability to choose whether to backup app only, app+appdata or just appdata. 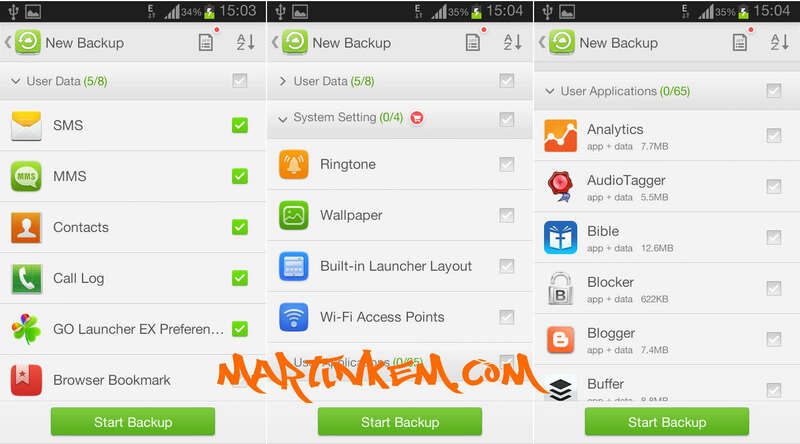 To create a backup of your data, all you need to do is to click on the New Backup button and select which data you want it to backup for you (The backup is usually stored in the Go Backup folder of your memory card (if one is available) or in your built-in storage. Restoring or retrieving your data is just as easy as creating a backup, all you have to do is click on the button which normal shows the number of backups you have created, the size and the date it was created. Selecting any of the backup would present you a choice of data to be restored, and all you have to do is select the data and click on Restore . 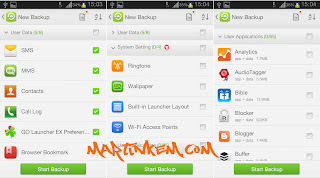 Go Backup also has an option to backup your data to certain cloud services such as Dropbox or Google Drive, which comes handy it you suddenly loose your android device. 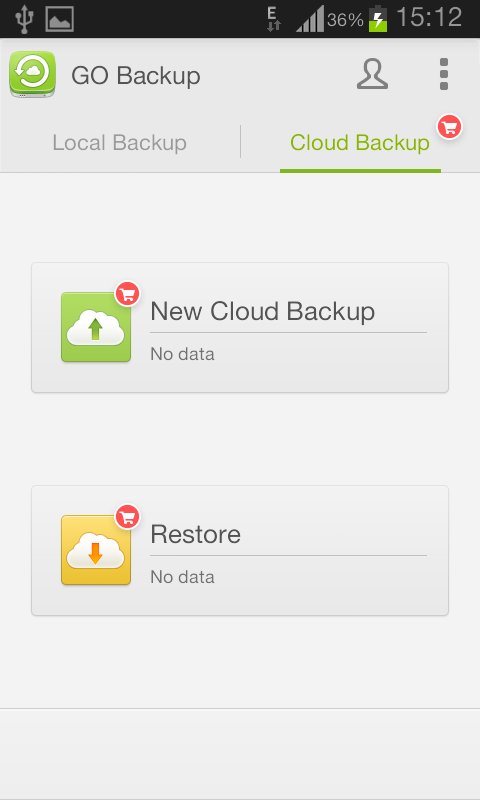 Cloud storage of backup data makes it easy to retrieve your data if your phone or tablet is stolen. However cloud storage is only available on the premium app.